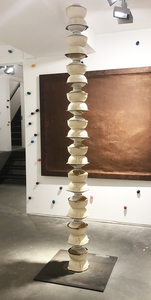 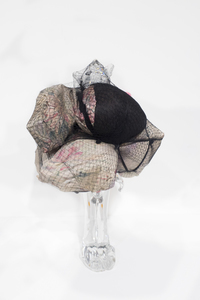 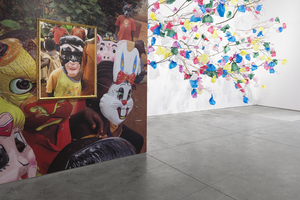 RICHARD TAITTINGER GALLERY is excited to present Colorful Line, a solo exhibition of works by the acclaimed Cameroonian artist Pascale Marthine Tayou, curated by Jérôme Sans in collaboration with GALLERIA CONTINUA, San Gimignano / Beijing / Les Moulins / Habana. 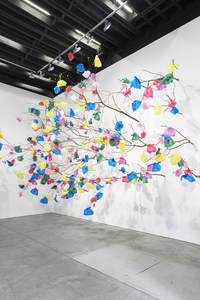 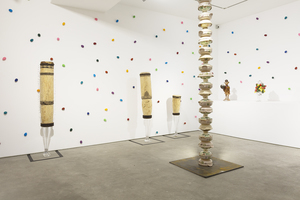 This is the most ambitious and comprehensive exhibition of Pascale Marthine Tayou’s work in the United States, and includes a range of artworks from 2006 through 2018. 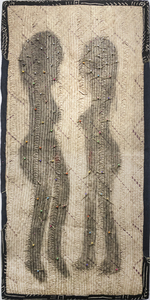 The exhibition Colorful Line has been conceived as a journey within Tayou’s universe: a deliberately mobile, heterogeneous work. 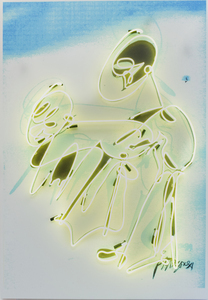 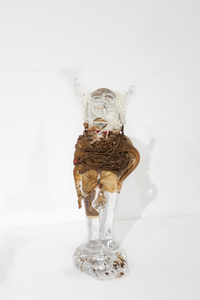 Deeply linked to his own "voyager mind", Tayou’s work comes in to contact with what is other to the self. 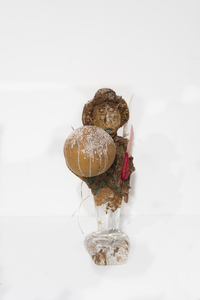 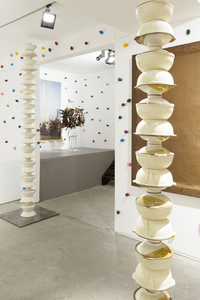 His objects, sculptures, installations, drawings and videos have a recurrent feature in common: they dwell upon an individual moving through the world and exploring the issue of global village. 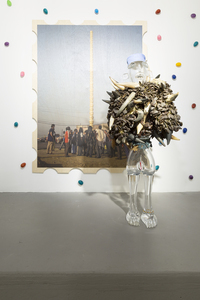 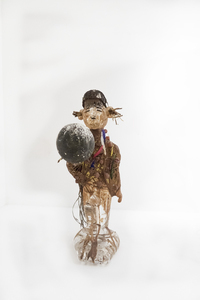 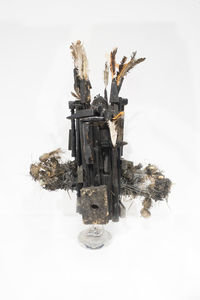 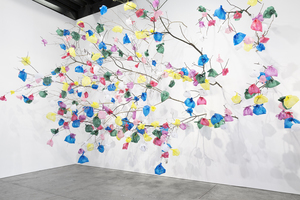 Pascale Marthine Tayou has created his own vocabulary out of images and forms from the West and beyond: from society ’s rejects and waste, national and economic symbols, and artistic references. 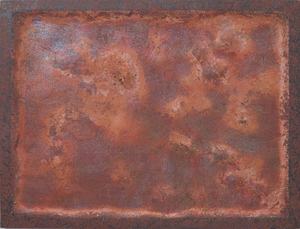 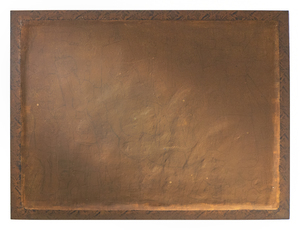 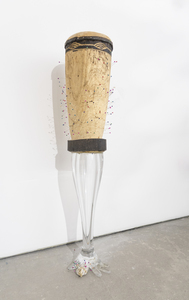 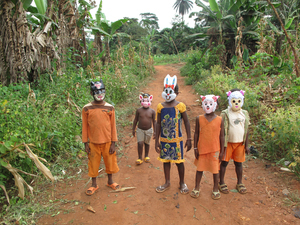 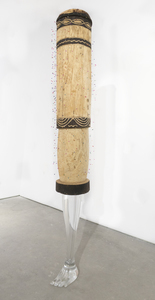 Tayou expresses himself with simple materials, as a lush "anti-production" of the Western worlds. 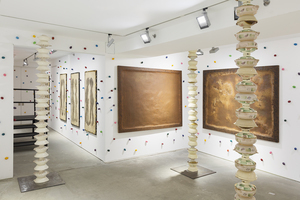 He embraces the world’s connected realities, bringing together non-tangible impressions and materials, fragments of moments he collects from the succession of places he inhabits, whether for an hour or for ten years. 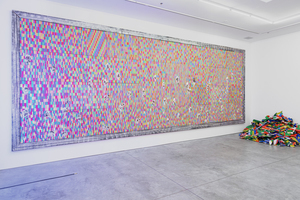 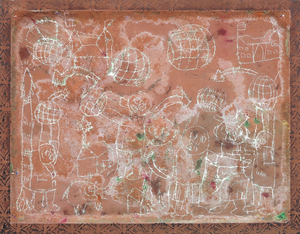 The title comments on the continuing problem of racial discrimination in the United States and of these cultural associations as well as the reference of color, something that crosses throughout Tayou’s work; "Color Line” was originally used as a reference to the racial segregation after the abolition of slavery. 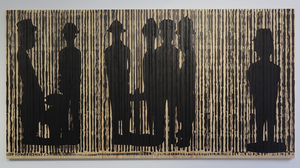 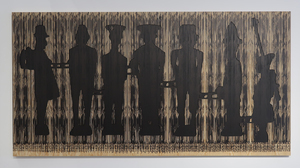 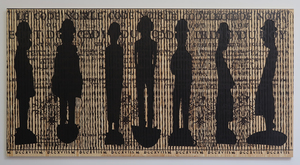 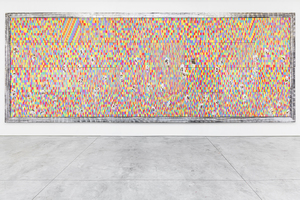 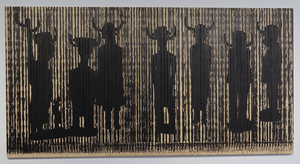 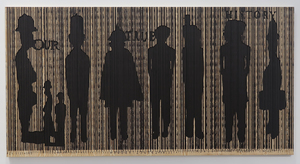 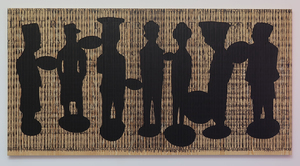 Tayou acknowledges this past and present in the monumental, seven-panel work titled Code Noir, newly produced for this exhibition. 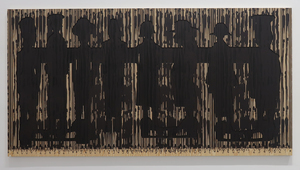 At about 70 feet in length, the panels show the silhouettes of people painted black, with a black barcode printed on top of them. 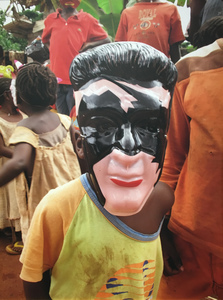 This alludes to both the Code Noir, or slave code, which was a decree originally passed by France’s King Louis XIV in 1685 defining the conditions of slavery in the French colonial empire, and the Black Codes passed by the Southern states in the United States in 1865 and 1866 after the American Civil War, restricting African Americans’ freedom. 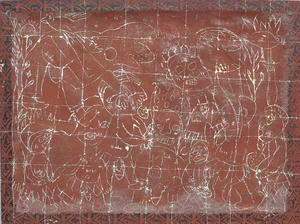 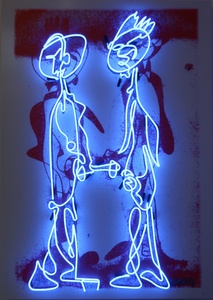 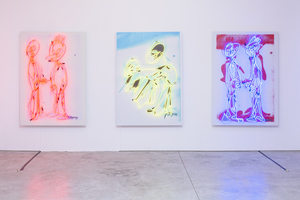 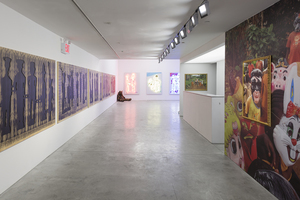 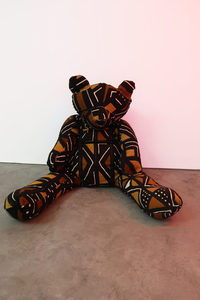 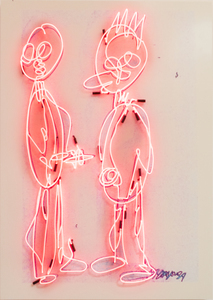 This exhibition features a range of artworks, some produced specifically for this show, including Bogo Bear, a huge Teddy Bear dressed in Bogolan textiles (Bogolan fabrics hold cultural significance, strength, and energy, as they are typically worn by hunters and women newly initiated into adulthood), and a new series of neon works. 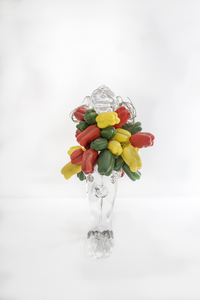 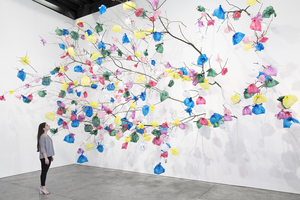 Mixed in with new works are some of Tayou’s iconic pieces, including the enormous Plastic Tree. 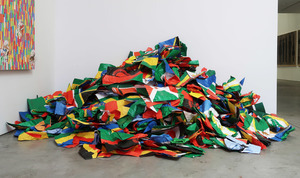 Composed of different colored plastic bags, this material of choice is significant, as Tayou has explained that it ’s “always in transit, always global. 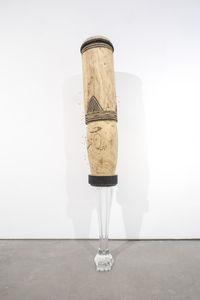 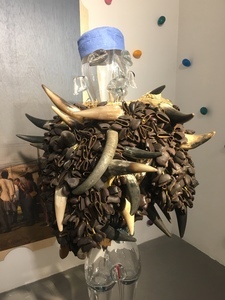 It crosses borders, and isn’t reserved for one social class.” Other works include a number of Poupées Pascale pieces, whose stylized naïve face carvings adorned in simple household objects such as leather samples and buttons, evoke Western tourist souvenir gifts through the crystal they’re made of, and Jpegafrica/Africagift, a pyramid pile of the 54 African flags, used as a sculptural metaphor of the different cultural identities of the African continent.